This Christmas Eve service centers on the story of Leah, a young girl from Bethlehem at the time of Jesus' birth. It is a story of seeming tragedy, despair and restored hope -- of a loving daughter, her carpenter father, and the trials they face when he is branded a leper. It could be argued that the title should be THE CARPENTER'S CHILDREN because it refers not only to Leah, but also to the infant Messiah and "all" people of Christ. The entire service is about 45-60 minutes in length depending on optional inclusions (such as solos or choir anthems) and can be done very effectively by one liturgist. It can also be split into two or three parts and performed as a readers' theater, or with characters silently acting out the story as it is being narrated. 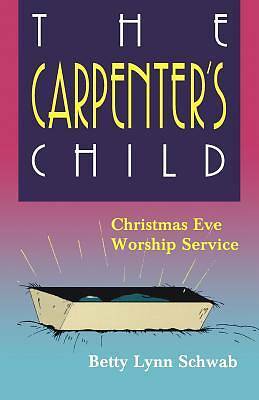 A full order of worship, staging instructions, a "children's moment," and production and lighting suggestions accompany the story of "The Carpenter's Child." Betty Lynn Schwab is an ordained clergywoman serving in ministry with the suburban congregation of Meewasin Valley United Church in Saskatoon, Saskatchewan. She has graduate degrees in modern French Literature and Religious Studies, as well as a master of divinity degree. This is her fifth book published by CSS.